Staff and pupils from six primary schools were chosen as Finalists for the 2017 Live To Play “Oscars” Ceremony at the Tyrone GAA Centre, Garvaghey on Friday 19th May. The “Oscars” Ceremony recognises the important work schools are undertaking to increase their pupils’ knowledge of important road safety messages. Schools use the Ulster GAA Live To Play Kids Zone to learn more about the main causes of death and serious injury on our roads. Schools use this information to create a short video which demonstrates the learning they have achieved. The many entries are adjudicated by Ulster GAA staff with six schools being selected as Finalists, namely: the P.4 class from Christ the King Primary School, Drumaness; the P.5 class from St Ita’s Primary School, Belfast; the P.6 class from St Josephs Primary School, Galbally; the P.6 class from St Malachys Primary School, Armagh; the P.6 class from St Patrick’s & St Joseph’s Primary School, Glenullin & Garvagh; and the P.7 class from St Teresa’s Primary School, Belfast. St Patrick’s & St Joesph’s P.S Glenullin & Garvagh were announced as the Overall Winner for 2017. 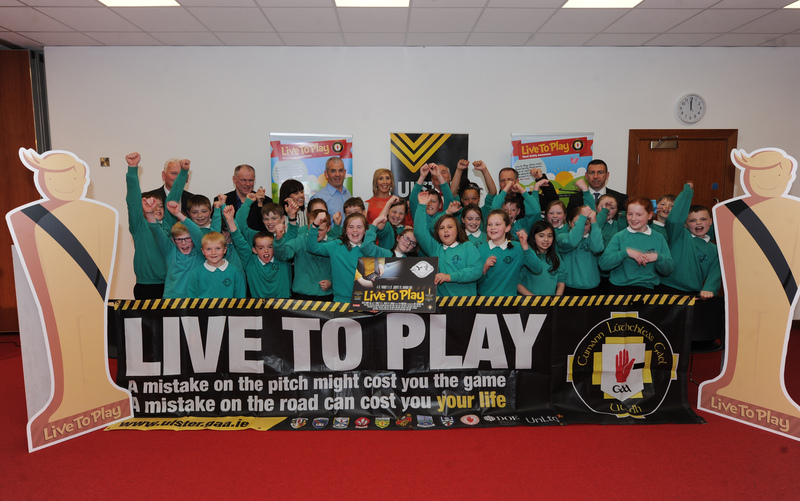 Clubs and schools can find more information about Ulster GAA’s Live To Play activities from the Live To Play website here .